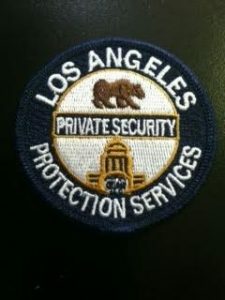 Los Angeles Protection Services is a full service security provider with a Security and Investigation Div ision. Our management team is comprised of Police Officials and individuals with many years of experience in the security service industry. Our portfolio consists of well-known and prestigious clients (see attached list). All of our managers and supervisors have gone through extensive training in order to take a pro-active hands-on approach to all aspects of the professional services that we provide. In addition, Los Angeles Protection Services employs and works with a highly qualified management team from the local Law Enforcement Agencies nearest to client to help assist Security Officers in security related matters. Our clients can rest assured that their patronage, tenants, and property will be well protected by highly qualified and well-trained Security Officers. All of our Officers are State Licensed and trained according to the standards of the State of California Department of Consumer Affairs. Download and print the application provided below and fax it to (818) 769-4520.